Marvel has released the full list of comics and collections coming out in December 2013, including the following Deadpool comics and collections. • Another flashback to Deadpool Stories Past! 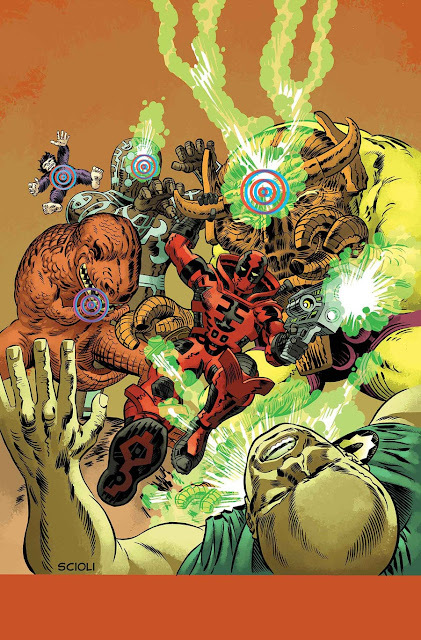 • This time, Deadpool wreaks havoc on a cosmic level! • Deadpool vs. S.H.I.E.L.D., part one! • S.H.I.E.L.D. stiffed Deadpool on a bill! • Now, they’re gonna regret it! • The Thunderbolts hit the road in the Punisher’s War Wagon! • A team that gets along this well will be a dream on a road trip, right? • The Thunderbolts’ new mission? KILL DOCTOR STRANGE. • Of course, they’re gonna need a pretty special arsenal for that. • “Thrilling Adventure Hour” creators Ben Acker & Ben Blacker take the Tbolts on a whirlwind tour of the Marvel Magicverse! Rick Remender puts the Uncanny into X-Force in an epic, critically acclaimed run! Psylocke, Archangel, Deadpool and Fantomex sign up for Wolverine’s secret squad of assassins, but their first mission — to find and deal with the reborn Apocalypse — casts a long shadow. As the members of X-Force struggle to come to terms with their actions, one among them unravels in what could only be called the “Dark Angel Saga.” Startlingly familiar Deathloks; a return to the Age of Apocalypse; a warring Otherworld; and the all-new, all-deadly Brotherhood of Evil Mutants await in Remender’s extraordinary exploration of the ethics of execution. 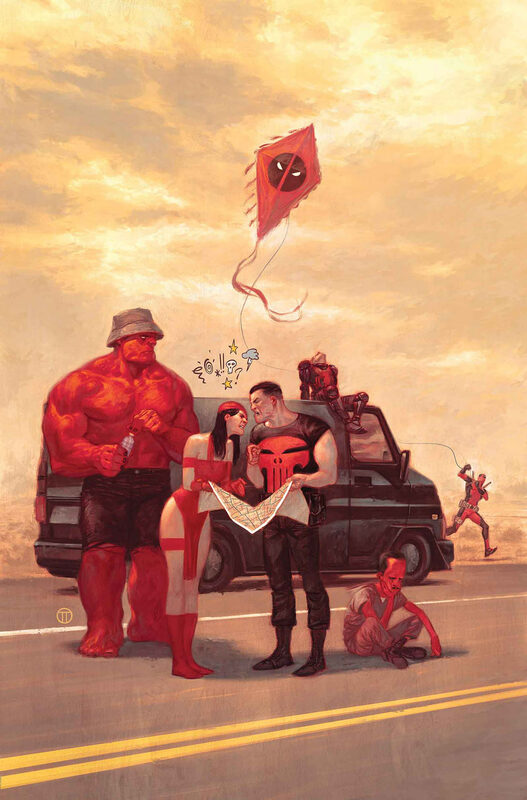 Featuring the stunning art of Jerome Opeña, Esad Ribic, Phil Noto and more! Collecting UNCANNY X-FORCE (2010) #1-35, #5.1 and #19.1; and material from WOLVERINE: ROAD TO HELL #1. INFINITY TIE-IN! The T-Bolts’ new ongoing creative team bursts into action! 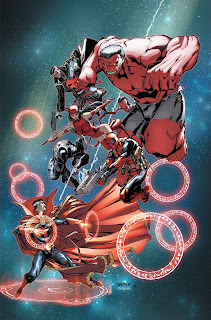 While the Avengers are away, the Thunderbolts strike! Their goal is to strike hard and fast, to take the entire NYC Mafia before anything goes wrong — but when Thanos’ hordes come crashing down smack dab in the middle of the T-Bolts’ mission, their “perfect plan” finds itself going right off the rails! And things get even worse when one of the Black Order sets her sights on the Red Leader! 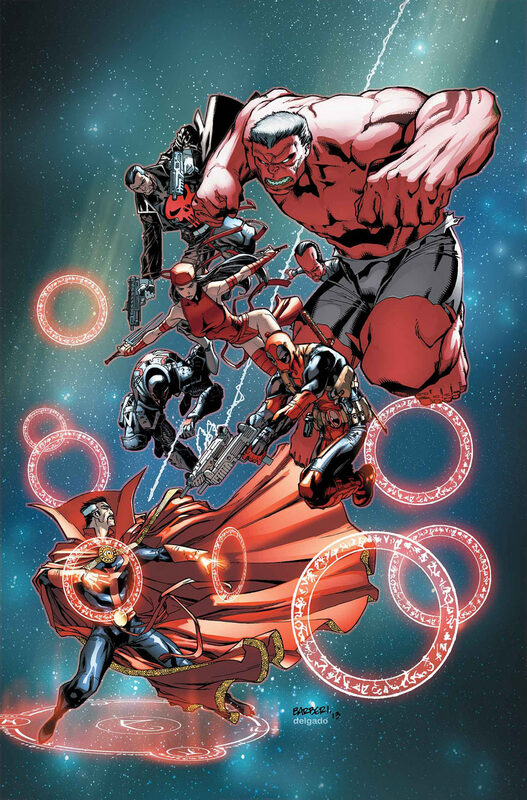 How will the Thunderbolts prevail against the overwhelming cosmic tide of INFINITY? Plus: Delve into the secrets of the most mysterious Thunderbolt, Mercy! Collecting THUNDERBOLTS (2012) #13-18. Special Digital Edition Offer! Each copy comes with a FREE digital edition download of ORIGIN II #1, ORIGIN #1, & WOLVERINE: JAPAN’S MOST WANTED INFINITE COMIC #1! Featuring a special Collector’s Edition Acetate Cover! Part 1 of 5! A few years after the events of ORIGIN finds James Howlett running with the wolves…until something unexpected brings him back into the world of Follow the first “X-Man” as he finds his way back to civilization and falls afoul of someone Sinister, who’s just discovering mutantkind and the horrors he can visit on them. Plus, discover the secret behind James’ greatest enemy! At some point, the mutant who will become The Wolverine must choose: is he man or is he beast? An all-new chapter in the secret origin of one of Marvel’s most mysterious characters is revealed starting this November, by superstars Kieron Gillen (YOUNG AVENGERS, IRON MAN) and Adam Kubert (AVENGERS, UNCANNY X-MEN, WOLVERINE)! • Captain America and Iron Man plan for the next version of the Avengers. • A runaway planet is on a collision course with Earth. • A visitor from the future helps save the day. • AVENGERS #24.NOW = AVENGERS #1 IN ALL-NEW MARVEL NOW!